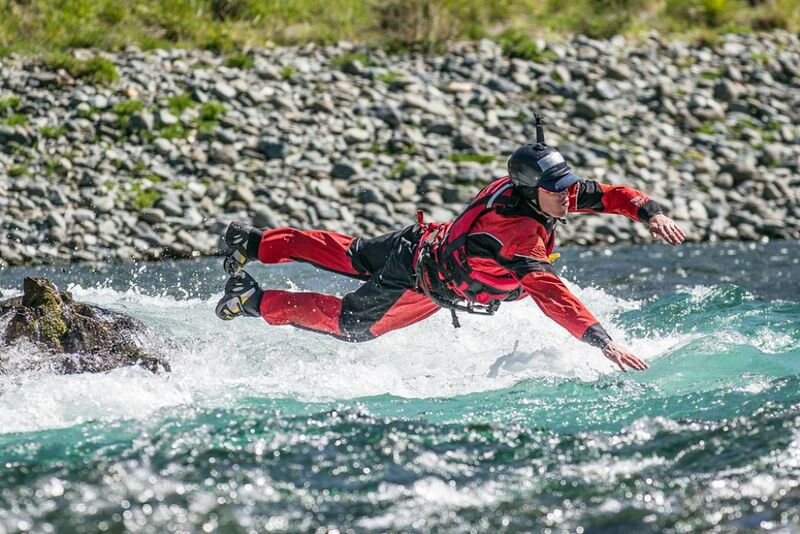 As instructors of swiftwater rescue, we have the opportunity to train in some amazing environments with some very talented groups of people. 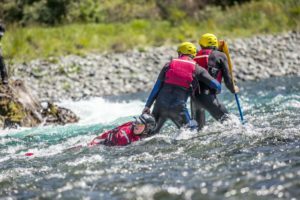 From military special forces to recreational boaters, swiftwater rescue is applicable to a diverse cross section of the population. The National Park Service continues to be one of our favorite groups to work with. 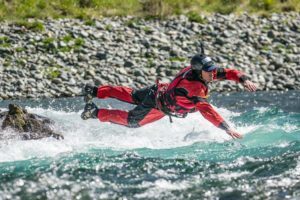 We have taught swiftwater rescue and whitewater rescue with the National Park Service in locations such as Grand Canyon, Grad Teton, Yosemite, Big Bend, Lassen, and Olympic national parks. Recently we had a training on the Smith River with Park Rangers in Redwood National Park. In the northern California park, some rangers lead scenic floats through the redwood groves, while others respond to distress calls on the river. Several Rivers crisscross through the park and they attract lots of attention from park visitors. The Del Norte Triplicate sent reporters to attend parts of course. After training and practice with some rescue techniques, instructors challenged the rangers with realistic water rescue scenarios. It’s always a learning experience says Sierra Rescue instructor Zach Byars, “even when the rescue goes wrong, there’s a lot to be learned. Thats why its called training.” The students made good progress throughout the course and left better prepared for water incidents that may happen in the future. For more information on the Smith River training visit http://www.triplicate.com/News/Local-News/Learning-the-Ropes-Swift-water-rescue-training to read the full write-up.